Welcome to Move It Cube It, the long distance movers who are streamlining the moving process for our growing customer base. With our services, you get a team of professionals with decades of experience, as well as the latest in moving technology. You only have to move once to know moving your home (at any distance) comes with its set of challenges. Without the help of trained experts, however, the ordeal can quickly turn into a catastrophe. Never fear, we’re the long distance movers you can count on to provide efficient, quality, convenient service and execute a smooth transition for your upcoming long distance move. 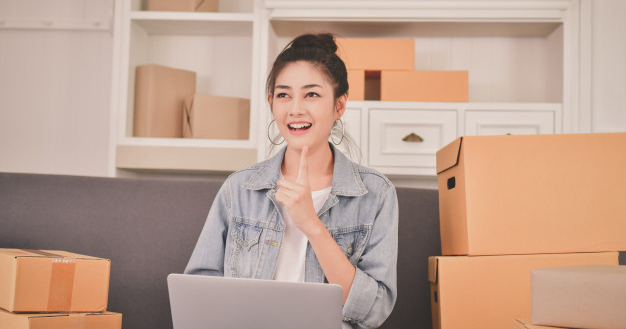 We understand that the hiring process can seem a bit daunting, but trust us, a DIY move is much more complicated that taking the time to vet the right long distance movers. Let us share our tips on finding a company that is both affordable and professional so you can get moving. And get on with your new life. As leaders in the moving and storage industry, we know that one of the major challenges regarding long distance movers is executing an efficient and timely move. Over the years, we have analyzed and developed bigger and better methods to get the job done seamlessly. That is why we created our proprietary technology and state of the art cube system. Every box and every item must be handled multiple times before it reaches its destination. Long distance movers show up, pack, label, inventory, and load boxes onto their truck. These trucks are often unloaded to storage or onto bigger trucks for interstate travel, so they must be unloaded and reloaded multiple times. With Move It Cube It, however, we cut all the handling down in an effort to create a more efficient process. Once your items are loaded into your cubes, you lock them, and the entire cube is lifted onto the truck by our proprietary pulley system. This dramatically reduces loading and offloading times while keeping your items safe and secure in the cube. Its easy, efficient, and because it reduces load time and labor, it becomes more affordable for you, the customer. In addition to weaving efficiency into the moving process, we also provide other time-saving services like professional packing. Our long distance movers will come equipped with everything you need to ensure your items are packed safely for moving day. We have everything from the basics like tape and wrapping paper, to special boxes for electronics and shrink wrap to protect furniture. Though our cubes are weather resistant, we take extra precaution in preparing your household goods for your move. Overall, we want to ensure your items are intact even if you have to unload them to your new home in less than ideal weather or other scenarios. When customers are moving long distances, sometimes a situation arises where their new destination is on hold for some time. For some of our customers, it could be weeks or months. For your added convenience, we have our own climate-controlled storage facilities where your cubes can sit nicely until you are ready. This is another reason why the Move It Cube It model is a great option for customers who need some flexibility with their move. Instead of using a long-distance mover and then having to find a storage facility, why not use a professional mover that can provide it all? Reach out to our long distance moving team today for more information about the Move It Cube It process. Our helpful, courteous professionals are standing by.